It was a day of dominance for Stiaan Kriel at the Phakisa Freeway on Saturday, September 15. 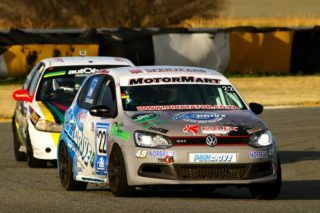 The Pozidrive / Kalex Volkswagen Polo driver started his day with a double victory during Round 6 of the 2018 MotorMart VW Challenge, where after he partnered with Robyn Kruger to win Class 111/B in the Phakisa 200 Endurance race. Kriel found the perfect setup during Friday’s practice sessions to maximize pace while conserving tyres on the very abrasive former MotoGP circuit. During Saturday morning’s qualifying session he missed out on pole position to Class A championship leader Rory Atikinson with less than 0.1 of a second separating the pair. 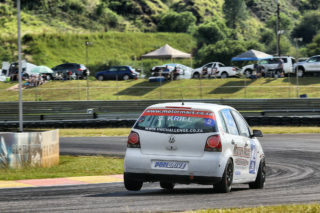 Although pole position would have meant a full house of points for Kriel, the focus was on being competitive throughout both the races and he therefore didn’t want to push the tyres too hard that early on. 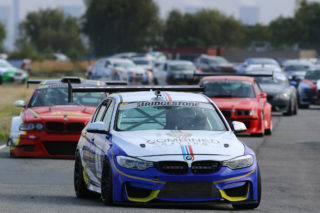 At the start of the first race Kriel had the inside line through the first corner which he utilized to slot into the lead of the eight lap race. He kept Atkinson and Lee Thompson at bay to claim his first victory for the day; setting the fastest lap in the process as well. 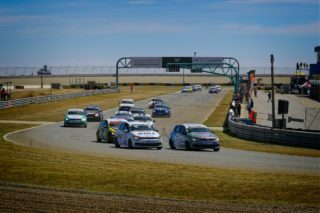 This saw him secure pole position for the afternoon’s second race where he took a flag-to-flag win fending off the pursuits of Thompson and Atikinson. Again he set the fastest lap to take his points tally for the day to 22. With the sun starting to set over the Free State, Kriel and Kruger took up their next challenge; The Phakisa 200. 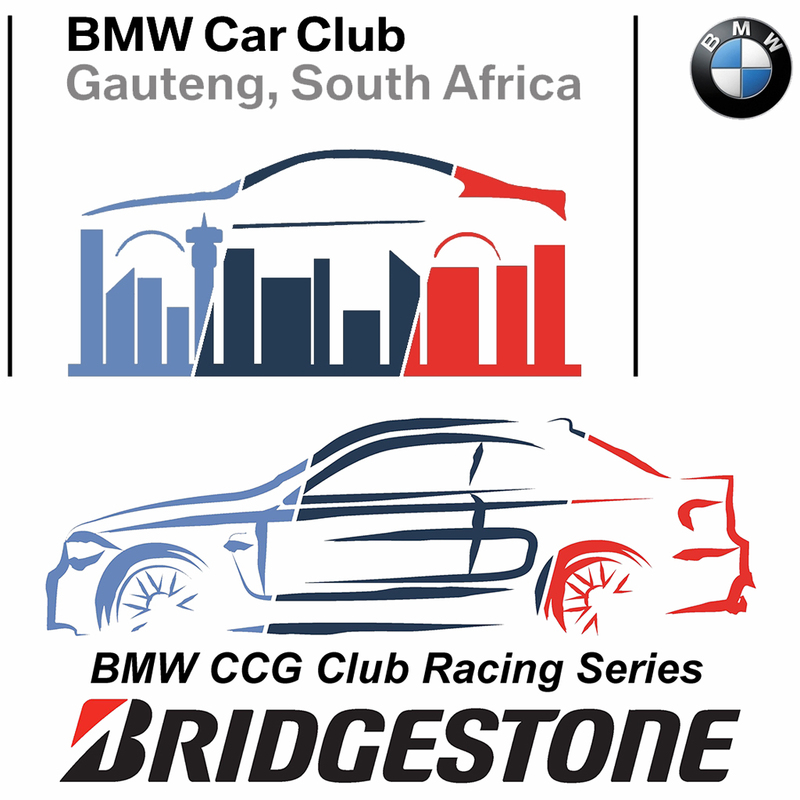 Kruger who conducted most of the driving duties took the start and delivered a well-controlled performance. 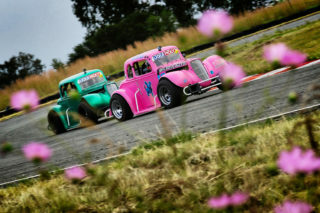 What makes her efforts even more significant is that this was only Kruger’s second outing in just under 14 months and her first since competing during the Passion for Speed Festival back in January 2018. The team took their class victory while also still remaining on the lead-lap to complete the full 35 lap distance. 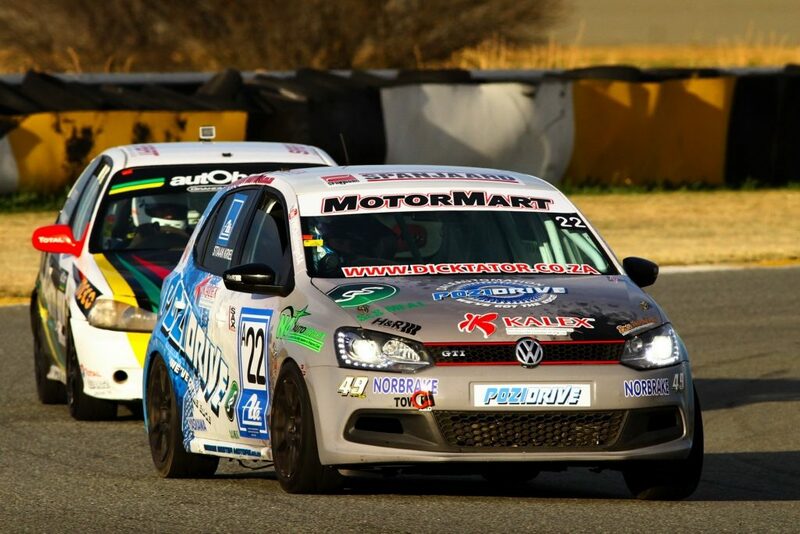 In addition Kriel would also like to thank the associate sponsors of the MotorMart VW Challenge for making this exciting category possible: Norbrake Distribution, ATE Brakes, Dicktator Engine Management Systems, Yaskawa, BPM Engineering and Pozidrive.